Measures pH from 0 to 14 with an accuracy of ±0.1 pH. 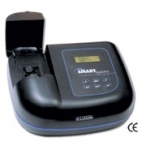 Easy to use, highly accurate, portable spectrophotometer. Offers pre-programmed tests, user tests and automatic wavelength selection. Highly accurate, compact electronic meter designed to measure pH levels within a range of 0.00 to 14.00 pH. Handheld, compact meter for measuring Conductivity. 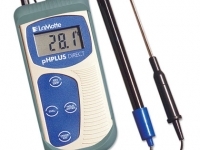 Compact, handheld, hi-tech meter for measuring Conductivity and Total Dissolved Solids. Water resistant, highly accurate meter, designed for measuring pH, mV, temperature and concentration.